The ‘purple pound’ is worth £212 billion. Three quarters of disabled people and their families have left a shop or business because of poor customer service or a lack of disability awareness. Two-thirds of disabled people think products aren’t developed with them in mind. Recognition of the spending power of disabled people and their families – the ‘purple pound’ – is growing. Sainsbury’s recently rolled out trolleys designed specifically for children with disabilities in stores across the country. RBS and NatWest have invested in hi-tech, fully accessible mobile branch vans that can be used by customers with mobility restrictions who are unable to make it into a bank branch. EE are just one of many organisations that now offer a video relay service for customers who use British Sign Language as their first language. But there is still a long way to go, with research showing that two-thirds of disabled people think most products a­­ren’t developed with them in mind, whilst three in four have left a business because of poor customer service or disability awareness. The Extra Costs Commission – an independent inquiry that was set up in response to research that showed life costs more if you are disabled – looked closely at how businesses can meet the needs of disabled people. 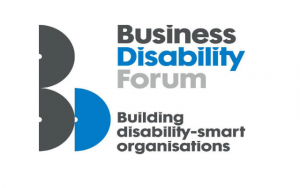 Acknowledging the undeniable power of the ‘’purple pound’’, Business Disability Forum (BDF) has added a new award category to its Disability-smart Awards scheme. The new ‘Extra Costs Award’ will recognise businesses that proactively work toward driving down the extra costs commonly faced by consumers with disability. Introduced this product or service in the last year. The winner of the new Extra Costs Award will be announced at the 2016 Disability-smart Awards presentation in October 2016. Judges will also take into account the response from disabled people and their families to the new product and/or service. “It is terrific that companies are being recognised for engaging enthusiastically with disabled consumers, customers and employees. “There are 12 million disabled people in the UK, whose spending power is estimated to be worth over £200 billion a year, the so-called ‘purple pound’. This means that collectively, disabled people have the potential to be a hugely powerful consumer force. We hope this award will encourage more businesses to recognise the opportunities for them to target this consumer base, in a similar way to how many have already embraced the opportunities to serve the ‘pink’ and ‘grey’ consumer markets. “Life costs more if you are disabled, but more competition in the markets for the goods and services disabled people require will push down some of the extra costs of disability. Entries to the 2016 Disability-smart Awards close on Friday 1 July 2016. Click here for more information about the entry process. Business Disability Forum is a business membership organisation that works with over 300 organisations across the UK and abroad. We have more than twenty years’ experience of equipping people with the expertise to create confident organisations by improving the understanding of disability in business, removing barriers and making adjustments for individuals. For more information about the Forum please visit: businessdisabilityforum.org.uk/about-us. Be the first to comment on "First-ever award for businesses that recognise the power of the ‘purple pound’"